Check out the ​National Highway Traffic Safety Administration's Winter Driving Tips before you hit the road! New Drivers are Inexperience Drivers - Careful Doesn't Cut It! No other hazard or behavior comes close to claiming as many teen lives as driving. Approximately 60 teens die each year in car crashes in Virginia. Involved, informed parents have long been considered the most influential factor in promoting safe teen driving. The mission of Partners for Safe Teen Driving is to help communities develop a parent education program, so that parents can guide their children through the first perilous years of driving. Many school divisions and communities in Virginia have partnered to develop Safe Teen Driving programs. Approximately 43 communities now require parents of teen drivers to attend a meeting. At this meeting, parents receive information about Virginia's graduated licensing procedures, current driving techniques, procedures for helping teach their children to drive, curfew restrictions, and more. A kit with step-by-step information about how communities can start their own programs has been sent to every school division in Virginia. CLICK HERE for more information. For more information about Partners for Safe Teen Driving, call (800) 609-2680. Traffic-related incidents continue to be a leading cause of death among on-duty law enforcement officers. Help to protect law enforcement officers and other first responders who are stopped on roadways by obeying Virginia’s Move Over Law. If you are approaching a stationary emergency vehicle displaying flashing; blinking; or alternating blue, red, or amber lights stopped on the road, slow down and move over. If you cannot safely change lanes, reduce your speed and proceed with caution. 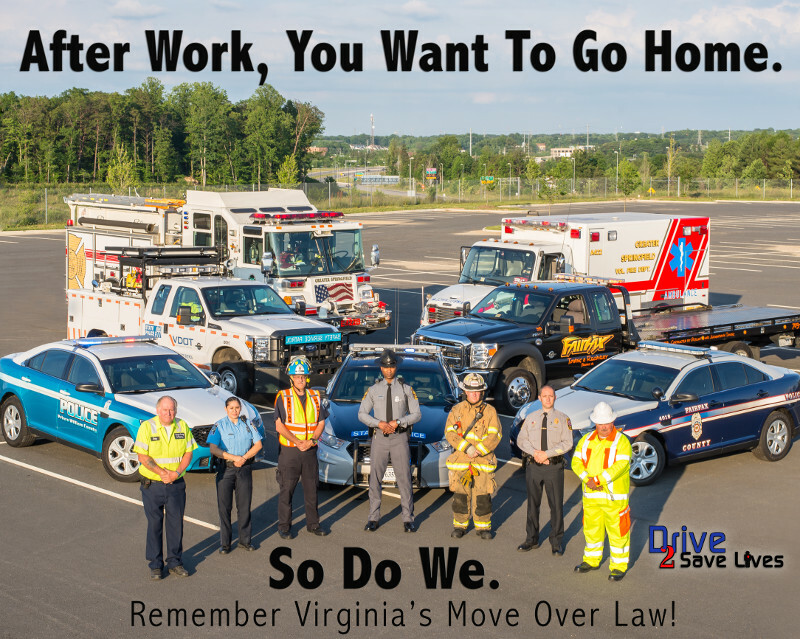 To learn more about Virginia’s Move Over Law, visit Slow Down Move Over VA Code.